Since the first edition of Budget Processes in the States was published in 1975, the report has become a significant reference for state budget officers and others interested in the organization and operation of state government. 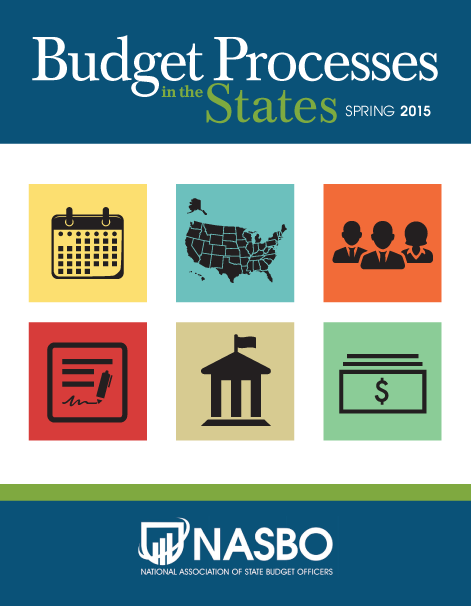 In this report, NASBO compiles state-by-state comparative information on state budgeting practices, organized into six sections. Budget Timeline and Participants: This section outlines the budget cycle calendar followed by states, provides detailed information about the functions and staffing of budget offices, and describes states’ revenue estimating processes. Requirements, Authorities and Limitations: This section focuses on the budgetary powers of the executive branch, as well as the state laws and regulations that govern and restrict state budgets, including balanced budget requirements, debt limits and tax and expenditure limits. Budget Approach, Procedures and Tools:This section examines the different budget methodologies used by states and which funds are subject to appropriation. It also provides detailed information on state rainy day funds and disaster funds, how states treat surpluses and unspent appropriations, and the use of integrated financial management systems by states. The Budget Document: This section looks at how the executive budget proposal and other key documents in the budget process are presented. Monitoring the Budget: This section provides information on how state budget offices and other participants monitor and control expenditures, transfer appropriated funds, and forecast future operating expenditures. Performance Management and Spending Transparency: This section shares details on how states collect, report and use performance data, state spending transparency websites, and statewide management initiatives.